Traditional wire and bracket braces can be an unattractive option for adults and older teens. With an average treatment period of 36 months, even clear braces can become cumbersome, result in significant discomfort, and generally detract from the quality of a smile. 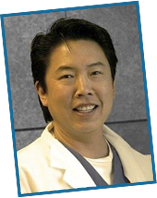 If you are an adult who needs orthodontic treatment but shudders at the thought of braces, Hayward cosmetic dentist Dr. Gary Fong may have just the solution you have been looking for. Invisalign® is the original adult orthodontic solution. Utilizing clear aligner trays, Invisalign gently pushes teeth into their ideal position over a course of 12 to 18 months. Not only is this faster and less invasive than traditional orthodontic treatments, it is significantly more comfortable, making Invisalign the ideal choice for many of our patients. If you are considering orthodontic treatment in the Hayward area of California, please contact Gary G. Fong, DDS online or call 510-582-8727 today to schedule your Invisalign consultation. Invisalign aligners are made of a soft and forgiving plastic which helps prevent irritation of sensitive oral tissue. This protects against painful sores and other issues caused by inflamed oral tissue. In addition, because Invisalign trays are removed both for eating and tooth cleaning, dietary restrictions and dental hygiene modifications are not necessary. This enables Invisalign users to maintain a healthy and well-rounded diet for optimal physical health, and a comprehensive dental hygiene routine to prevent both cosmetic and oral health issues. By contrast, braces require both dietary and oral hygiene modifications that can have consequences long after their removal. Invisalign offers a number of benefits and is a wonderful solution for many of our patients, but it is not right for everyone. During your consultation with Dr. Fong we can best determine if Invisalign treatment is well suited to meet your specific needs. To schedule your Invisalign consultation with our experienced Hayward dentist, please contact us today. Dr. Fong provides Invisalign treatment for ideal candidates living in Hayward, Castro Valley, San Leonardo, Union City, and surrounding California communities.